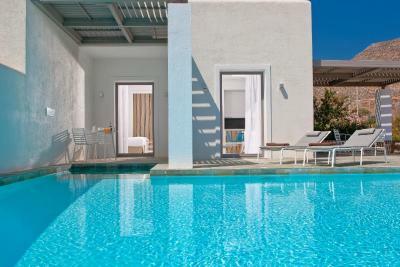 Lock in a great price for Anemi Hotel – rated 9.2 by recent guests! The staff was fantastic---friendly, helpful and attentive. The rooms were spacious, nicely-decorated and the bed was very comfortable. 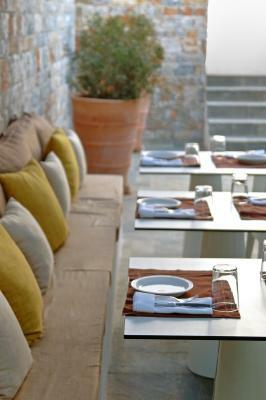 Some days we ate all three meals at Anemi and the food was delicious, with innovative and fresh menu selections. I can't say enough great things about Anemi, including its fantastic value. I will hopefully return. The staff was very professional and kind, the rooms were big and comfortable, the atmosphere was relaxing and the hotel is really beautiful, The pool is wonderful. It was a pleasure! The staff were great - phoned us in advance to advise the ferry strike may affect us and very helpful with suggestions and car hire when we got there. 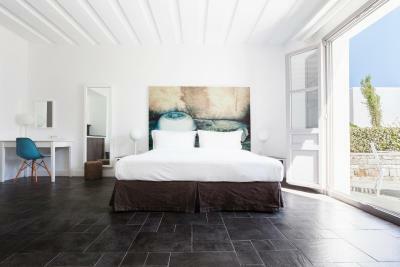 Very minimalist but stylish decor across the hotel and rooms . Great comfortable beds . Nice view over the harbour . Would recommend a little car to get around and to Chora. Fabulous breakfast and lovely staff at breakfast . Super stylish, comfortable room with a heavenly bed. The staff were very helpful with sorting out our cancelled ferry woes and assisting with a speedy departure to get the next one. The pool is beautiful. The wine tasting was amazing!!! The pool area and bar are really nice and so relaxing. The staff was helpful and very accommodating when I needed to change my reservation due to a ferry strike. The room is very confortable, the bed was great and the staff so welcoming ! 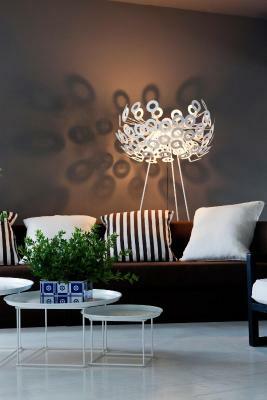 Amazing, luxury with simplicity. Great breakfast, wow pool. Amazing service, very good and rich breakfast, always clean and quite. Best hotel in the island. Anemi Hotel This rating is a reflection of how the property compares to the industry standard when it comes to price, facilities and services available. It's based on a self-evaluation by the property. Use this rating to help choose your stay! 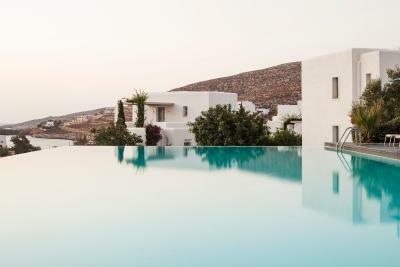 Boasting a privileged location a few feet away from Karavostasis Port, the 5-star Anemi offers minimal, design accommodations with Cycladic features. 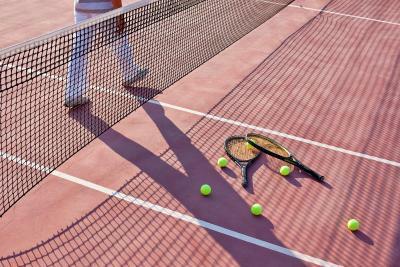 It includes a poolside a la carte restaurant and a bar, a fitness center and a tennis court. 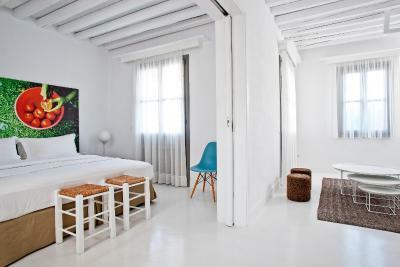 Rooms and suites at Anemi Hotel feature modern furnishings and white tones with colorful details. 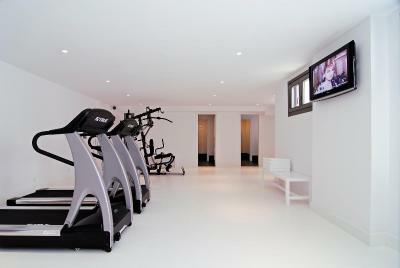 They are equipped with a flat-screen, satellite TV, DVD player and mini-bar. In the spacious bathrooms, you will find slippers, bathrobes and a hairdryer. 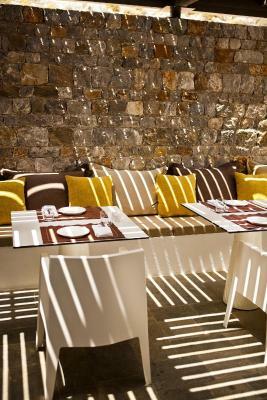 Anemi Restaurant serves creative Mediterranean cuisine in a stylish setting. Guests can taste fresh seafood with aromatic herbs, finely marinated meats and other traditional delicacies all made with local products. The staff can arrange for limo and helicopter service. Within walking distance, you can reach the beach of Vardia, while the beach of Hochlidia is at 1,300 feet. 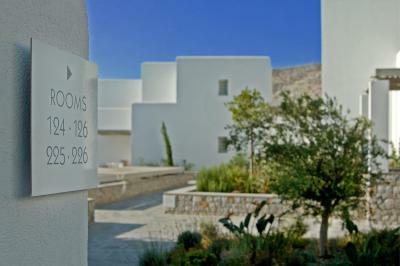 The scenic main town of Folegandros is 1.9 mi away. When would you like to stay at Anemi Hotel? 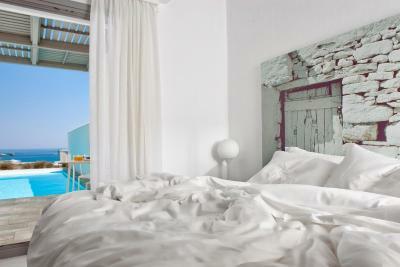 Offers sea view and features a seating and dining area, a bathroom with a bathtub either with or without a hydro massage, as well as a private veranda or a balcony. Please note that the extra guest will be accommodated in a roll-away bed. The Junior Suites have either sea or garden view. They feature a separated with a sliding door seating and dining area and have a bathroom with a bathtub either with or without a hydro massage, as well as a private veranda or a balcony. Please note that this suite is fitted with either 1 double and a sofa bed or 2 singles and a sofa bed. Bedding type is upon request. The double rooms have private veranda or balcony with views of the lush gardens. They include a seating and dining area, a spacious bathroom with a bathtub either with or without a hydro massage. Please note that an extra guest can be accommodated at a roll-away bed. 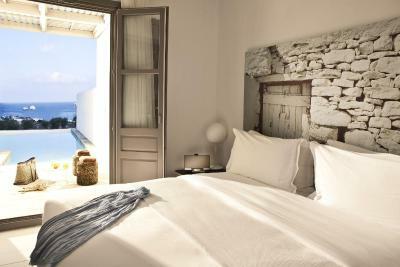 This suite offers a view of the Aegean sea and a private pool. A Bose sound dock station for iPods and iPhones, as well as a Nespresso coffee machine can be found in the room. Please note that this suite is fitted with either 1 large double and a sofa bed or 2 singles and a sofa bed. Bedding type is upon request. 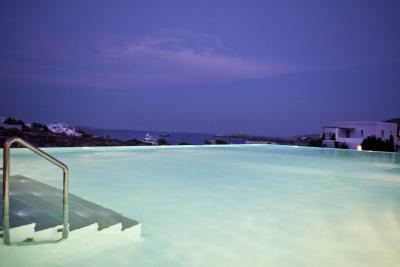 This split-level suite offers view to the Aegean Sea and a private pool with a spacious deck. On the upper floor, you will find a bedroom and a bathroom with shower, while the ground floor includes another sleeping area and a second bathroom with bathtub. A dining and a living area are also featured. A Bose sound dock station for iPods and iPhones, as well as a Nespresso coffee machine are offered. 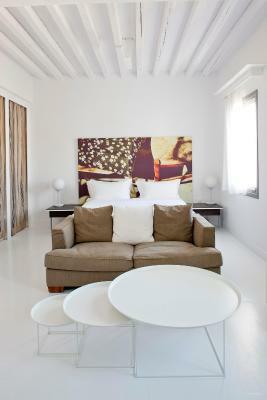 Please note that this suite is fitted with either 2 large double beds and a sofa bed or 4 singles and a sofa bed. Bedding type is upon request. Please note that this suite is fitted with either 1 large double and a sofa bed, or 2 singles and a sofa bed. Bedding type is upon request. House Rules Anemi Hotel takes special requests – add in the next step! 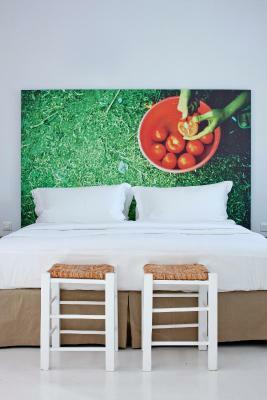 All children under 16 years are charged EUR 70 per night for extra beds. Anemi Hotel accepts these cards and reserves the right to temporarily hold an amount prior to arrival. A prepayment deposit is required to secure your reservation. Please note that for refundable reservations, if cancellation occurs up to 21 days prior to arrival, the deposit is refundable, excluding any credit card or bank fees. Please note that extra beds are provided upon availability and owner's confirmation. Breakfast was to order only - no buffet and as a consequence it was difficult to order- in fact on last day we ate elsewhere asit was not really very good. Didnt eat in main hotel because we were not sure and the local restaurants were superb. superb location and nicely equipped hotel. Nothing that I can think of. While not on the beach easy to take the boat to beaches and the pool was beautiful overlooking the sea. There is also a local bus that goes into town. Well, very little to mention but since you asked....by the way, no one if the above would be a reason, not to return :))) The breakfast was a la carte and with a full hotel, it was not easy to keep up with the orders. Guests seem to be often confused as to what they ordered....my suggestion would be a buffet and maybe order the eggs only. As It is a boutique hotel, I believe that I have seen the Hotel Manager but she never introduced herself. It would have been a nice touch.... Again, only details. I had an amazing time and will be highly recommending the hotel and island. Amazing hotel! Location, service, design, everything is excellent. But most importantly - the people who work there are SO NICE! Georgia and Kostas really did everything to make our vacation unique and unforgettable. What is much more important than a really high quality service is the warmth and kindness. 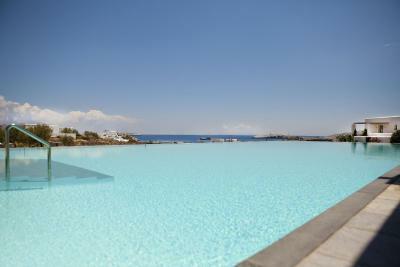 Having just returned, we already miss Anemi hotel so much... Definitely coming back.